Science is based on experiments. Before the final launch scientists have to do several trials to ensure the safety and success of the experiment. This is the part and parcel of the scientific experimentation which makes the scientists able to find out the flaws before moving towards the final step. NASA also performs tons of routine trials before the final launch of any rocket. 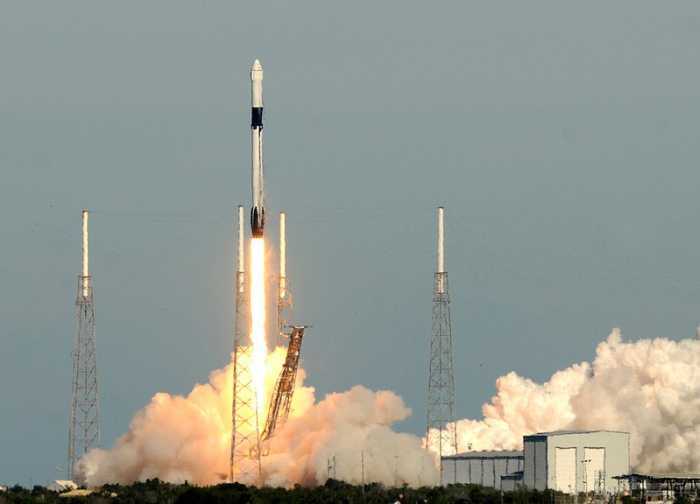 At Florida’s Kennedys Space Center scientists performed the routine exercise in which they briefly fire the engines of the SpaceX Falcon 9 rocket. This routine trial was performed on the historical 39A Pad of NASA. But there was one thing which was not according to the routine. A Crew Dragon Capsule was present on the top of the Falcon. This is the evolutionary step of the SpaceX company as this capsule can provide accommodations for seven passengers. Moreover, it also shows the dependency of NASA on the commercial space industry. This rocket has nine Merlin engines. Those engines roared to life for a very short period of time emitting clouds of smoke around the launch pad. This test is considered very important as in this trail all the events were performed which scientists will be performing in the final launch. Apparently, it was a static fire test, but it has gained a lot of attention because it highlights the awaiting return of the crewed space takeoffs to American soil. A crew access arm, which is a black and white astronaut walkway, was also installed in this rocket last summer. It was a successful test. It also predicts that launch of the SpaceX will occur on February 23 or later. In this first test flight which is called as DM-1 (Demo Mission 1) the Crew Dragon will fly to the space station. DM-1 was designed to carry humans too. But at present, the scientist has decided to use it for carrying the cargo to and from the space station. DM-1 is the new evolved and upgraded version which has the latest technology, control panels, life support system, seat belts, and propulsion system in order to keep the crew safe during a launch emergency. The main aim of this Crew Dragon is to show that spacecraft is prepared for the conveyance of the NASA astronauts to and from the International Space Station. In 2011 NASA chose SpaceX and Boeing for future space missions. Both companies are working individually from last five years to build a rocket, under a budget of $6.8 billion, which is able to provide transport to the NASA’s astronauts. Crew Dragon (SpaceX) and CST-100 Starliner (Boeing) will be the companies’ first vehicles which will carry astronauts in the Space Station. Both companies are hoping to meet their aim by the end of this year.